Unless you’ve been hiding, with earplugs in, glaring at anyone who dares to eat or breathe within your auditory radius, you’ve probably heard of misophonia by now. And if you have been hiding, with earplugs in, glaring at anyone who dares to eat or breathe within your auditory radius, keep reading. This probably applies to you. Maybe keep the earplugs in for now. Reading about misophonia for the first time in 2011 gave me a name for my many years of emotionally explosive experiences: age 10, throwing my brother’s donut in the bin at Disneyland because he refused to eat it quietly; as a teenager, hiding my friend’s ticking alarm clock at a sleepover and waking to muffled beeps and a confused friend rifling through drawers, and who still believes she moved it in her sleep; during my undergrad years, perfecting my Lecture Theatre Glare (less furrowed than my Cinema Glare) at nearby talkers/eaters/pen clickers, and seating myself well away from the front few rows of laptops and whirring of tape recorders (yes, I am from the microgeneration of people who went to university at the only time in history when these two pieces of equipment were used side by side); moving in with my husband after 3 years long-distance, gazing into his eyes and asking, “did you always breathe this loudly?”. The term misophonia means “hatred of sound” but that’s just the elevator pitch for a long-running complex drama of sensory experiences and spiralling emotions. The troublesome sounds are usually made by other people, and they trigger off an automatic emotional reaction of irritation or disgust, which rapidly spirals into anger, repulsion and anxiety. Like many other people with misophonia, the cause of my polite rage is not limited to noises alone. Any contamination of my senses will earn you a cursory glare from me. Former recipients include: the poor teenager on a flight from London to Zurich who was criminally unaware that his t-shirt was brushing against my arm in the supposedly neutral space of the armrest; the staff member in my old office who repeatedly left banana skins in rubbish bins in the office, like an animal; and every leg-shaker, gum chewer and finger-tapper ever to dare to sit within my eyeline on public transport. My emotions are further fuelled by thoughts of what this means about you, the perpetrator, and me, the victim. In that moment, I think you’re incredibly rude for inflicting this feeling upon me, with your complete lack of consideration for my wildly over-sensitive response and altogether irrational interpretation of the situation. It’s a violation, I’m not in control, and I won’t be able to enjoy myself as long as I am distracted by your behaviour. It must be your fault. Because if it’s not, it would have to be mine. Being acutely aware of just how much this distraction is going to stop me from enjoying myself, I focus my attention completely on the distraction, wondering why it is how it is, trying to decide how I can stop it, and weighing up the consequences of taping your fingers to your laptop so that you can’t type so damn loudly. My glare is usually met with bewilderment, if it is met at all. If I can’t make you stop, I try sticking my fingers in my ears or shielding my face from the visual trigger. I aim to block it out with an action discreet enough that the only person who notices is the person causing the disturbance. What I really want is for their shame to propel them to acknowledge that I am right and stop what they’re doing. If they felt like campaigning for quieter cinemas, that would be okay too. What usually happens instead is that I rotate between checking if the distraction is still there, looking for signs they’ve noticed, and feeling infuriated that I have to do all this. Which, of course, results in me not enjoying myself. Just like I knew I wouldn’t. I have been following the psychological, neurological and auditory literature, and researchers are only beginning to understand the complexities of the condition. It’s nice to believe I might have a neurological sensory over-responsivity and a conditioned pattern of emotional escalation and reinforcing behavioural responses. It’s certainly preferable to my husband’s clinical diagnosis: Hoity Toity. HuffPost interpreted one study to indicate that people who respond excessively and unreasonably to human noise might actually be creative geniuses. Whilst there’s part of my brain that welcomes the idea that I might be a genius, there’s a competing part of my brain telling me that I might just be excessively unreasonable. There have been a few case studies and an open trial that have showed some success in using CBT to help people with misophonia, but it’s all still very new and it’s difficult to pinpoint what it is that makes a difference and why. Over the next few months I’m going to self-help my way through a course of CBT, tailoring it for my misophonia. I’ll be looking at the misophonia literature and experimenting with concepts and strategies adapted from CBT for OCD and for panic disorder. I will write up the results here, unless it goes horrifically wrong. Because misophonia is new to CBT, I don’t yet know exactly what that might look like. So, you know, don’t try this at home. Wow. This is literally life-changing for me. I once broke up with a boyfriend because I couldn’t bear the way he ate apples. I did not realise that this was a thing. Thank you. I felt the same way when I first heard about it! And I will change seats on a bus if someone pulls out an apple. I feel that crunch to my core. This describes me almost to a T. I thought I was the only one since no one else around me seems to be bothered by such noises/sounds. I can’t wait to see what your “testing” brings. This is my daughter! God forbid I eat a potato chip in her presence. When I started talking about misophonia at work, one of my colleagues said it suddenly made sense of why, as kids, their dad made them eat their potato chips upstairs and out of his earshot! I await with ear buds & bated (silent) breath. Funnily enough the process of writing this blog post got me so excited about studying misophonia that I’ve started moving my career towards specialising in it! I’ve started doing CBT for it in my NHS work, am working on some research into treatment effectiveness, and have put together some guidance for therapists helping people with misophonia. So my blog is lagging behind but I’ve made a lot of progress! The CBT strategies have been working for me, now I just have to find the time to write it up. Fantastic! I don’t know where you are based but would love to receive any information you have on treatment for it so I can investigate in my local area, as it’s something I would like to try and get help for. Thank you! I’m in London and mostly know UK treatment options. 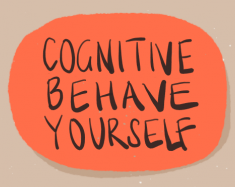 I have some notes about using CBT for it here: https://cognitivebehaveyourself.com/misophonia/. And if you do find a therapist who is familiar with CBT but maybe not familiar with misophonia, there here is a site for CBT therapists to look at and contact me if they want to get some guidance on how to adapt CBT for misophonia: https://cognitivebehaveyourself.com/misophonia/misophonia-for-therapists. I am building a new site just for misophonia, because I’ve had lots of enquiries since posting all this! Good luck with your search, I hope you find someone supportive who’s willing to be flexible and experimental with the approach.